Elevators Etc provides superior customer service with highly trained and experienced mechanics. Our preventative maintenance program works to eliminate potential breakdowns before they occur, to ensure optimum system performance and reliability. Elevators Etc provides innovative elevator and escalator solutions and you can be assured you are getting the best quality products and equipment in the industry. We only install systems that are constructed with the latest computer and micro processing technology. Elevators Etc is committed to environmental responsibility. Green strategies for eco-modernizations are available to renovate traditional elevators. By surveying your existing equipment, Elevators Etc can determine the optimal eco-friendly design. 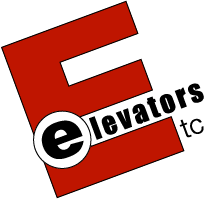 Elevators Etc is a full-service, Small Business Enterprise, Certified Qualified Conveyance Company (CQCC), by the State of California, City of Los Angeles, and other local public entities. We provide maintenance, repair, modernization and new construction of elevators and escalators throughout the greater Los Angeles area. Elevators Etc delivers superior customer service using highly trained and experienced Certified Competent Conveyance Mechanics (CCCM), IUEC Local 18 members. Jason Babcock, President, has worked in the elevator industry for 26 years. He’s been employed by the largest elevator companies, and is highly trained and skilled in the trade.